"We liked the idea of Andre Russell copping at 7s. It could be a very big price indeed if he bats at No 3, as he has done on three of his last six appearances"
Mark Wood rather put a spanner in our studious studies of top England bowler in the ODI series. It happens. The outlier, the bolt from the blue comes from the fringes and renders all numbers work irrelevant. It's a flaw with long-term studies. You miss the coming force. Wood could well be it. He was terrific for England in the 2-2 draw and was their only positive. He was England's second top wicket-taker with seven in four matches and a strike rate of 28.2. His rival for top bowler here will be Adil Rashid, who trumped Wood for honours in game four with an insane three wickets in one over at the death. With a strike of 16.6 in the series, he has an edge. Indeed, Rashid is the favourite for top bowler at 11/4 and it seems fair to reckon that it's between him and Wood, who is 10/3. Over the last two years Rashid has been Mr Consistent. He has averaged 1.5 wickets per game (10 games) with a strike rate of 16. Wood has played only three matches and averages 1.6 per game, striking at 13.8. Despite that record Rashid has only one outright win and four shared honours. Wood has one win and one shared honours. On career numbers, Rashid rates a shade more than 2/1, which is hugely impressive. Wood is bang on 3/1. In short, neither would rate a bad bet which is a rare thing indeed on this market. Believe it or not, Chris Gayle should be shorter than 2/1 given how often he wins top West Indies batsman in T20. And there you were reckoning Sportsbook had deliberately shortened him prohibitively so they don't get filled it. On career form Gayle is more like an 8/5 shot. That's extraordinary stuff. Considering Evin Lewis, who in Gayle's absence has taken on the mantle of emulating Universe Boss, is absent it could be said he has little to beat. 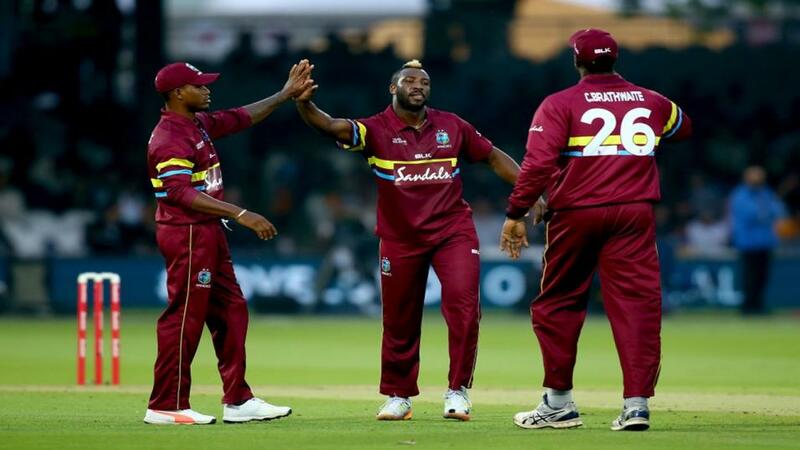 In our match preview we liked the idea of Andre Russell copping at 7s. It could be a very big price indeed if he bats at No 3, as he has done on three of his last six appearances. Gayle gets a runs quote of over/under 24.5. It's too high. Of course it is. In the last two years Gayle has played only five innings for West Indies, beating the mark once. Before you get overexcited, bear in mind that Gayle's runs quotes were too high - and they went up incrementally after each game - in the ODI series. Going under was a loser every time. There's an edge on Alex Hales to score 21.5 runs or fewer. Not much of one but an edge nonetheless. Sportsbook go 5/6 meaning he has a 54.5% chance. On career numbers he is a 51% chance. Hales will be expected to go big. Something of the forgotten man of England's ODI resurgence, he has lost his place to Jonny Bairstow at the top of the order. The two are paired here in the opening berths and Hales should been to serve up a reminder of his hitting ability. It's hard to reckon he's a bet for top-bat, though. He has one win in 12 (last two years). Sure, the waters are muddied somewhat by Jos Buttler's absence. Buttler has three wins. The value option is a somewhat surprising one. Dawid Malan has three wins in the same period for just five games. His record is so good that he begs the question why he has not been more of a regular. He's available at 7/2. That would be a corker of a bet if we could be sure he would slot straight back in at No 3 but we can't. Joe Root is the man in possession. Root is also 7/2.